Applications for October 2019 entry are now being accepted. Deadlines are 12 noon UK time (midday) on Friday 25 January and Friday 1 March 2019. If you have any questions about this programme, please email dsp@conted.ox.ac.uk or telephone +44 (0)1865 270455. The Oxford University Diplomatic Studies Programme (DSP), also known as the Foreign Service Programme (FSP), is a full time programme of mixed academic and vocational study of diplomacy and related subjects. The programme aims to equip its members with the knowledge and skills required for diplomacy in the 21st century, and the confidence on which to build a successful diplomatic career within a foreign ministry, international organisation or elsewhere. It is distinctive in the close relationship it enjoys with the Foreign and Commonwealth Office and senior diplomatic practitioners. This year the programme celebrates its 50th anniversary and our alumni, who have included royalty and Prime Ministers as well as Ambassadors, now occupy a large number of senior posts in the diplomatic field. The DSP is specifically designed for early- to mid-career diplomats. The majority of its members are established diplomats proposed for the course by their governments, who return to their diplomatic careers after the course is over. A few non-diplomats with relevant academic background and professional experience are included. Geographical representation on the course is extremely broad and you will have the opportunity to benefit significantly from exchange of experience between each other and with alumni. As well as key issues of the day, the DSP places emphasis on national and regional issues relevant to countries and regions from which the participants come. More senior diplomats, instead of following the normal curriculum, may apply to carry out, during part or all of the academic year, full-time research into an agreed relevant subject proposed by them as Visiting Fellows. They are then closely associated with the course and may participate in the year’s events. Applicants may apply to either the Postgraduate Diploma or Master of Studies. This is a nine-month (October-June), full-time course requiring residence in Oxford. It comprises four taught courses and is assessed by four year-end examinations. 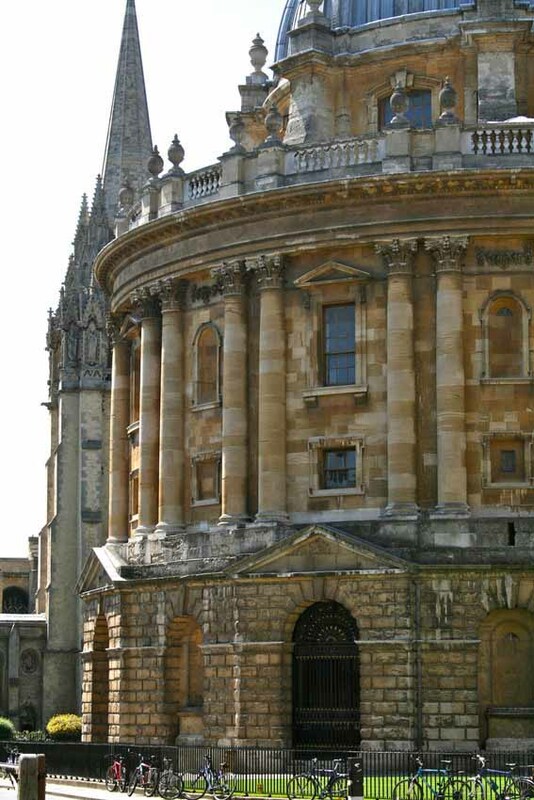 A twelve-month (October-September), full-time course requiring residence in Oxford. In addition to the four taught courses and year-end examinations of the Postgraduate Diploma, it entails completion of a substantial research project. Those admitted to the PG Diploma will have the opportunity to apply to transfer to the MSt mid-year, subject to UK visa requirements. The Diplomatic Practice course comprises a mixture of seminars, tutorials and vocational training exercises as well as study tours. A wide variety of academics, diplomatic practitioners and others deliver seminars and lectures. All DSP members take part in practical exercises in diplomacy, for example in multilateral negotiation, crisis management and lobbying, and benefit from opportunities to develop their diplomatic writing, oral presentation and analytical skills. In recent years, the course has included a day’s joint training with the Foreign and Commonwealth Office’s Diplomatic Academy. Please see the outline programme for the academic year 2018/2019 for an example programme. These academic courses are taught to PG Diploma and MSt students together through a mixture of seminars and tutorials. Members will gain a broad academic and critical understanding of each subject, and will learn how to research and write academic essays. All DSP members are offered training in media techniques, an essential skill for diplomats, through filmed interviews. All DSP members are offered training in academic writing skills. The working language of the course is English. For non-native speakers, advanced English language classes offer the opportunity to refine and hone professional language skills, including for diplomacy. Even for native English speakers, one benefit of the DSP is the opportunity it offers to build up and polish to a very high and sustained standard of effectiveness and fluency their command of the English language, the major international and diplomatic language in today’s world. DSP members are also welcome to study an additional language using the resources of the University's Language Centre. As full members of the University, students on the DSP are encouraged to attend lectures, seminars and other events held elsewhere in the University. As part of both programmes, all members take part in study tours in the United Kingdom and elsewhere in Europe, visiting international organisations, government ministries, multinational companies and media institutions. In addition to the taught courses as detailed above, those admitted to the Master of Studies will complete a research project leading to a 15,000-word dissertation on a topic relevant to one or more of the subjects covered in the taught courses. You will take classes in research methodology and will conduct supervised research. The Postgraduate Diploma requires the completion of the curriculum and four year-end examinations. The Master of Studies requires the submission of a dissertation (15,000 words) in addition to the completion of the curriculum and four year-end examinations. In 2016/2017 we kept a Web Diary, which is an ideal place to visit if you are interested in learning more about how the programme runs throughout the year. DSP members become full members of both the University and one of the Colleges of the University. The college will normally provide the member's accommodation. Some colleges offer accommodation for couples and families; if participants require this, they are advised to research options in advance and specify one of these colleges as their preference at the time of application. Applicants are encouraged to discuss their needs with the Programme Administrator once offered a place on the course. Accommodation is adequate but of a student level, with limited facilities. If participants would prefer a higher standard of accommodation, they will need to find and rent it at their own expense. View some of the most frequently asked questions. If you cannot find an answer to your question, please call us on +44 1865 270455 or email us at dsp@conted.ox.ac.uk. For information about the course fee and the cost of living in Oxford, please visit the Oxford University Graduate Admissions webpages for the Postgraduate Diploma in Diplomatic Studies and Master of Studies in Diplomatic Studies. Any member transferring mid-year from the Postgraduate Diploma to the Master of Studies will be required to pay the difference in fees at the point of transfer. Many DSP members hold scholarships. The deadline for applications to external scholarship schemes is usually in the autumn, so early action is recommended. Please see the Chevening website for information, eligibility and how to apply for UK Foreign and Commonwealth Office Chevening Scholarships. Alternatively you might enquire at your local British diplomatic mission. The deadline for Chevening Scholarship applications for 2019/20 is 6 November 2018. Citizens of developing Commonwealth countries applying to the MSt in Diplomatic Studies are eligible for Commonwealth Scholarships. Applicants should apply directly to the Commonwealth Scholarship Commission as well as to the MSt in Diplomatic Studies. Such applicants should apply by the January application deadline if possible. Applications for awards from other international agencies should be addressed to those agencies. The vast majority of Oxford University scholarships are awarded to applicants who submit their application by the January deadline. Those who apply before this date will be automatically considered for scholarships where they fulfil the eligibility criteria. The University Fees and Funding page provides more information, including a search function for course-specific funding. Please visit the course pages on the Oxford Univeristy Graduate Admissions website for entry requirements, selection criteria and how to apply for the Postgraduate Diploma or Master of Studies. Applicants whom are resident in low-income countries and low-middle income countries may have the application fee waived for this course. For further information, please contact the Course Administrator. If you have any queries about the Diplomatic Studies Programme or the application process, please call us on +44 1865 270455 or email us at dsp@conted.ox.ac.uk. Nana joined the FSP after working for the Ministry of Foreign Affairs in Ghana.